You’ve spent your days enjoying the shore around your Maui Beach Hotel, but relaxing scenarios, if left unchecked, can result in perfectly enjoyable aquatic adventures being shoved to the back burner! From snorkeling and paddle boarding to submarine exploration, the fun to be had in the water is truly endless. You may find it hard to yank yourself away from your book and the sun–we know. But a change of pace during your vacation on The Valley Isle will not only open your eyes to the natural beauty that lies beneath the surface of the Pacific; it will rejuvenate your appreciation of the golden sands and make them all the more pleasurable the next time you park yourself in a beach chair! For more fulfillment from your island getaway, here are three suggestions to take your adventures out to sea! With the water as warm as it is, and the coral reefs as vibrant and colorful as they are, strapping on a mask and spending your day looking at the many different species and rock formations beneath the waves doesn’t get much better than on Maui. A favorite of local snorkelers is Turtle Town, an area in the Makena district due south of Wailea. This spot gained its name from the community of gentle turtles that call the reef home. 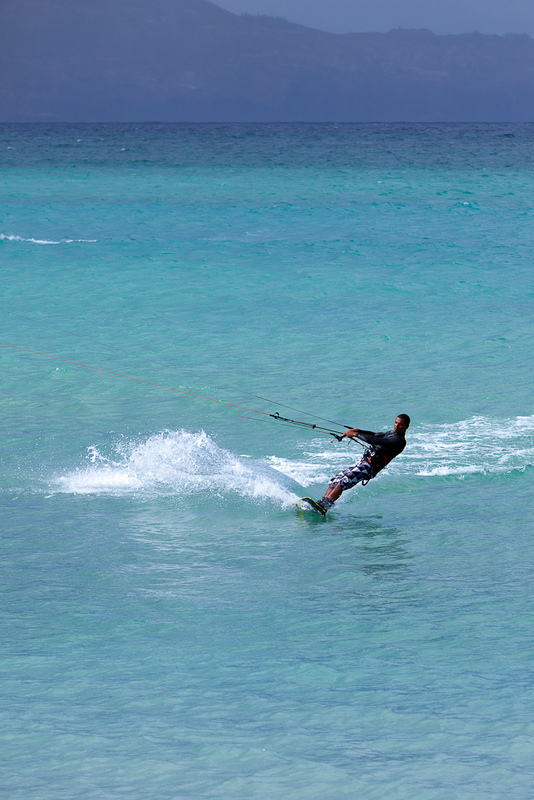 The water is fantastically clear, and the area is shielded from any strong winds, meaning the surf is calm and ideal. Snorkeling is a great way to be active, but if you’re looking for true undersea exploration, hopping aboard a submarine and diving into the depths is the only way to go. There are many companies offering their services to visitors eager to go where snorkelers and scuba divers can’t. As schools of fish swim by amidst incredible landscapes at fantastic depths, you’ll be sure to never look at the ocean the same way again! One of the perks of the beach is the ability to just kick back, relax, and enjoy the warmth of the Hawaiian sun. But too much sun exposure can take it out of you! For a rush of adrenaline in perhaps the most comfortable manner possible, take to the skies above the sea behind a speeding boat while parasailing! This activity is a favorite of locals and tourists alike, as the breeze and spray of the water can provide much needed respite from the heat! Once you’ve broken free of your sandy comfort zone, you’ll be able to say you’ve made the most of your Maui experience. But there is no shame in running directly back to the beach once your island bucket list is complete!